It’s crazy how fast time can fly by. This month has been a difficult one for me. I’ve said many goodbyes, which I find quite hard. Especially because these people fulfilled an important role during these past 9 months. Just like last month, I have to choose this song once again. The message: Just keep breathing, is one I really needed this month and possibly one I’ll hold onto in the future. This song is from Ariana Grande her new album Sweetener. I’m still planning on getting a tattoo inspired by this beautiful song! 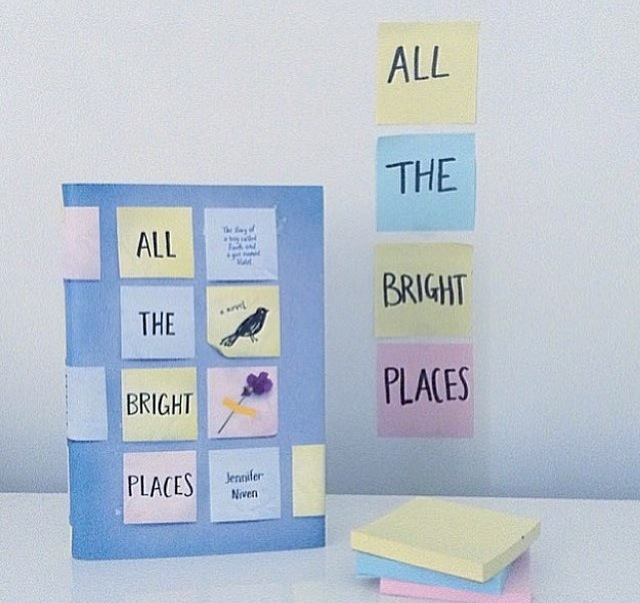 What book to choose when you’ve read 4 this month… Hmmm I think I’ll go for All the Bright Places. Not necessarily because I liked this one best, but because this book really touched me. I actually got angry and sad over it and that doesn’t happen to me often! I’ve seen a lot of movies this month, but my favorite was: Papillon. It’s such an incredible story and I can’t believe this movie really was someones life. I recommend this movie to everyone! I’m a strong believer that little things can change the world.